I’ll admit to being pretty forgetful. I misplace my mobile phone all the time when I’m at home. Apple’s Find my iPhone feature is a lifesaver, but it still requires me to find and start up my computer, log on to the iCloud website and initiate a search. It eats up a lot of time when I’m trying to rush out the door in the morning. Keylink, a new gadget from Motorola, promises to make finding a lost phone easier than ever, especially when you’re trying to leave the house. The simple Bluetooth-powered device fits on your keychain and can ring your handset from up to 100 feet away with a push of the button. 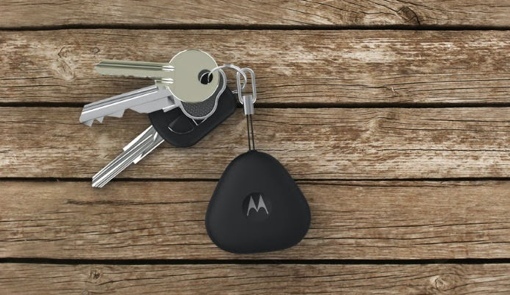 And don’t worry if you lose you keys – you can easily page them with the use of the free Motorola Connect app. The device doesn’t just help you find your smartphone, it helps you secure it, too. Keylink supports Android 5.0 Lollipop’s new Smart Lock feature, allowing you to automatically skip your phone’s lock screen whenever it’s in range of your keys. You can learn more about Android Smart Lock by reading our coverage of the new Lollipop security features. The new Motorola Keylink is compatible with both iOS and Android devices. You can purchase your own for just $24.99 by visiting Motorola.com or by stopping in to your local T-Mobile retail store. The Motorola Connect app, meanwhile, is available on the Apple App Store for iOS and on Google Play for Android 4.3 or later.